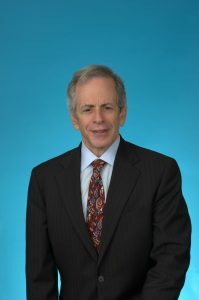 Michael has been a partner in the Firm since 1983 and is the Firm’s senior partner. 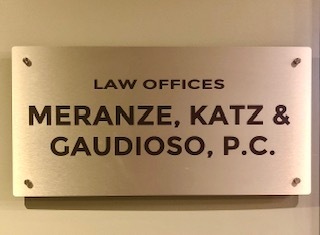 After graduating from Tufts University in 1975, Michael earned his Juris Doctor Degree in 1978 from Temple University School of Law and has been actively practicing law at the Firm since then. Michael is admitted to practice before the Supreme Court of the United States, the United States Circuit Courts of Appeals for the District of Columbia and 3rd Circuits encompassing the District of Columbia, Pennsylvania, New Jersey and Delaware, the United States District Courts for Pennsylvania and New Jersey, and the Supreme Courts of both Pennsylvania and New Jersey. As the lead partner in the Firm’s Employee Benefits and ERISA practice, Michael’s primary areas of practice encompass the representation of collectively bargained jointly administered ERISA employee benefit plans in all aspects of compliance with applicable law and regulations and Trustee fiduciary responsibilities. He also represents Unions in all aspects of labor relations including the negotiation of collective bargaining agreements, labor arbitrations, National Labor Relations Board proceedings and Department of Labor proceedings. In addition, he assists employees in addressing problems they may have with benefits such as pension and other retirement programs and health and welfare benefits including medical, hospitalization and prescription benefits. Prior to becoming an attorney, Michael worked as a Union roofer doing commercial roofing jobs and as a Union warehouseman in the food distribution industry. When not assisting clients with their legal issues and concerns, Michael is a dedicated cycling and fitness enthusiast. He holds certifications as a Personal Trainer and Spinning instructor and is very active as a sponsor and consultant for area non-profit cycling clubs and race teams.